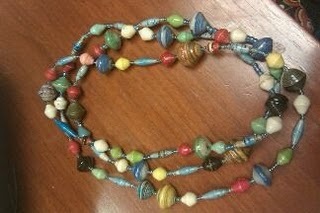 A friend of my family is selling these necklaces to raise money to adopt a sibling group from Africa. The cost is $20.00. If you go to her website you can purchase them ☺. The necklaces came from Uganda and they are made by women in a community to raise money for an orphanage. Part of the proceeds went to the women of Uganda the other portion goes toward the adoption. If you want more information please visit her website. There are many different styles.